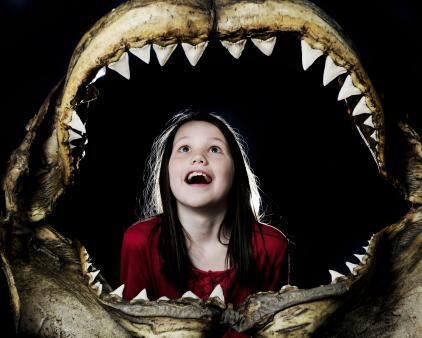 Discover the secrets of Scottish history all the way from the Big Bang to Sir Chris Hoy, see a T-Rex up close and meet the world-famous Dolly the Sheep – all at Edinburgh's National Museum of Scotland. 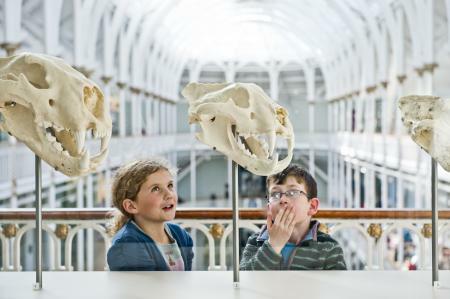 Hetty Walton took her kids Tom (11) and Ivy (7) to one of Scotland's most popular visitor attractions, the National Museum of Scotland in Edinburgh. 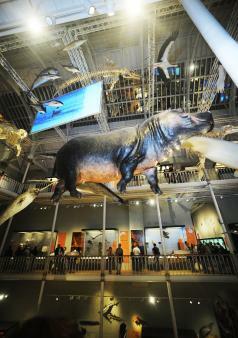 Situated in the centre of the city's Old Town, the National Museum of Scotland was formed in 2006 from the modern Museum of Scotland and the Victorian Royal Museum, making it a full-day educational experience for all the family with 16 galleries covering everything from archaeological finds and medieval objects to science, technology, fashion and art. 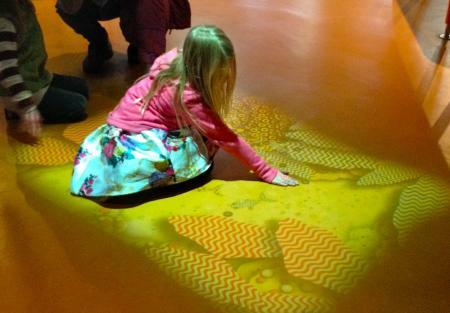 The yellow-walled Imagine gallery is ideal for smaller visitors: they can play with mirrors, mosaics and music, get a Chinese dragon to dance, cuddle up and read a story in the quiet corner and even put on their own shadow puppet show. They'll also enjoy the Industry and Empire gallery, which features button-operated models of trains to press and a real Victorian steam train – the Ellesmere Locomotive. If it's raining outside the light-filled atrium of the Victorian Grand Gallery is a great place for them to run around and let off steam. The 'Discovery Zones' dotted around the historical galleries were also a hit: she fired a mini trebuchet, fitted armour on a knight, put together a medieval pot and dressed up like Tudor royalty. Tom was most at home in the science and technology galleries which were full of hands-on activities designed to appeal to pre-teens and dominated by a giant working Boulton & Watt steam engine. He tested his skills on the Formula 1 racing car simulator, programmed a robot to spell out his name, checked out Dolly the sheep, launched a hot air balloon and had a go at generating electricity on a giant hamster wheel. He also enjoyed the Museum's current Monkey Business exhibition (located up the escalator on the right of the Grand Gallery) where he got to swing with an orang-utan, track down a tiny grey mouse lemur and catch as many termites as a chimpanzee. The intricate, but slightly spooky, multi-tiered Millennium Clock with characters that move, spin and dance as it strikes on the hour from 11am until 4pm. Also, if you take the lift just behind the Kingdom of the Scots gallery and go up to level 7 – you can get an amazing view of the city from the rooftop terrace and even eat a picnic on the benches if the weather is warm enough. If you're short on time and just want to take in the museum's edited highlights, check out the free tours that run at 11am, 1pm and 3pm. There's plenty of choice, from the first floor Balcony Café serving drinks and sandwiches to the award-winning fine-dining Tower Restaurant at the top of the Tower Entrance. For hot food, the Museum Brasserie in the basement is great value with its special kids' main meal deal for £5.50 which can work out cheaper and more filling than sandwiches. Located right in the heart of Edinburgh's Old Town, the museum is a brisk 15 minutes walk from Waverley Railway Station. If you're travelling by car, parking can be a bit of a problem so it's better to park further afield and walk or bus in. Entry to the museum itself is completely free but donations are welcome. Entry to exhibitions and some events cost extra. There are three shops (the largest is in the entrance hall) that stock a wide range of educational goodies that won't break the piggy bank. Tom was tempted by a multicoloured agate slice (£2.25) or ammonite keyring (£2.25) while Ivy liked the pyramid pencil sharpener (£3.60). 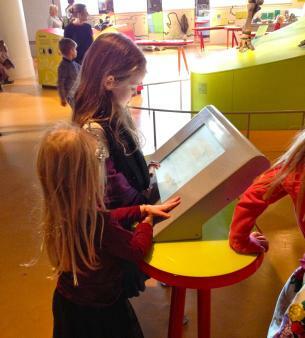 Explore the Museum's extensive collection and play online games on the website. There are also a number of Museum on your Mobile apps to download. 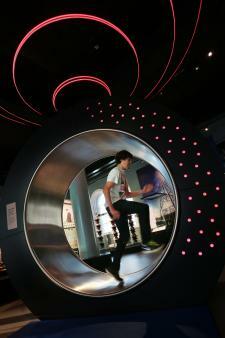 The Museum just about covers it all, from the natural world to technology to history.